In light of the inequalities faced by autistic people, the Autism Act 2009 was introduced by the government. This was the first ever disability-specific law in England and was introduced to make sure autistic people get the help they need. ‘Fulfilling and Rewarding Lives’, a national autism strategy for adults in England was subsequently published in 2010. This strategy was refreshed in 2014 when ‘Think Autism’ was released. The strategy, along with statutory guidance produced in 2015 to accompany it, provide requirements for local authorities and NHS bodies to follow to help develop their own services and provide support that reflects the needs of autistic people. It aims to encourage improvement in the way that services are delivered. Click the link below to visit the Think Autism site. 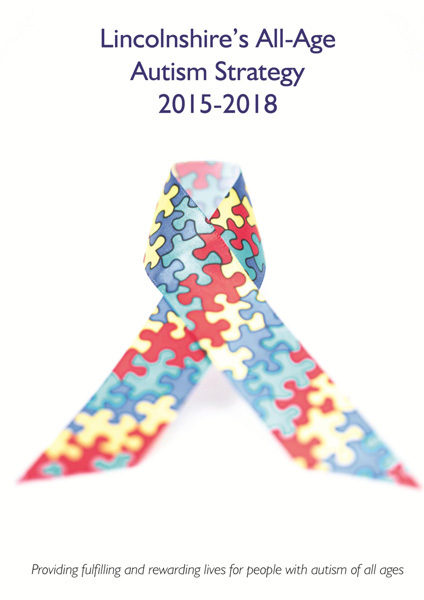 In response to the national autism strategy, Lincolnshire’s All-Age Autism Strategy 2015-2018 was launched in April 2015. The decision to produce a strategy for children, young people and adults with autism was based on feedback received as part of a 3-month public consultation conducted in 2013. This highlighted that the transition from children’s to adults’ services is a key concern to stakeholders and that a more seamless approach is required. Additionally, an independent review of services in Lincolnshire for children and young people with autism was jointly commissioned by the Lincolnshire Safeguarding Children’s Board and the Children’s Services management team during 2014. This review included a wide range of consultation with services, individuals with lived experience and carers. The recommendations from the review were incorporated into Lincolnshire’s Autism Strategy. The strategy sets out the vision for autistic people in Lincolnshire. It contains eight strategic principles underpinning the strategy, and an action plan to implement improvements in the provision of services and support to ensure autistic people lead more fulfilling lives and have an active part in the community.